The Stamina Trac Glider is a big seller on the internet - due mainly to its price. But beware, it does have its weaknesses. For some these will definitely be a deal-breaker, but for others it will be a low-cost way to stay in shape. It does look very dated these days - almost retro even, but then others might call it crude with its mechanical resistance system. This is a hydraulic rower that uses a single piston underneath the main column to provide the resistance. Some of our reviewers found regular heavy use caused problems with the piston. After about 15 minutes of use the resistance drops and it hardly takes any effort to row. Another deal-breaker for us is the foot rests. Three out of our five testers had problems keeping their feet strapped in - which means you have to keep stopping to strap them back in position. It also means every time you try to row faster, you're waiting for your feet to pop out again! A big and unwelcome distraction and one of the most frustrating things to suffer when you're trying to put in a good session. 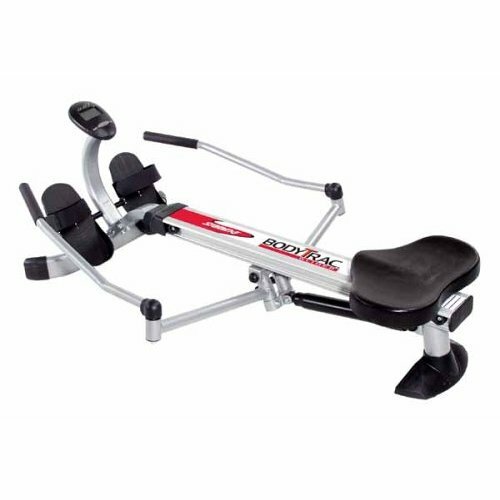 The seat is quite comfortable for a budget model and the action is fine for short workouts of fifteen minutes or less. 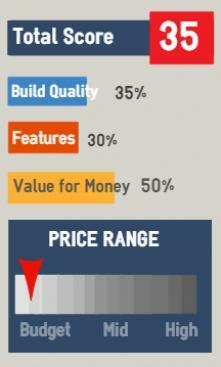 If you're planning on training for longer periods you may find this model less comfortable. It's quite sturdy for a compact machine and also folds up for easy storage - something to consider if space is short. The twelve resistance levels should be plenty for most users - but remember this can drop off during longer workouts. It's pretty basic but easy to use. 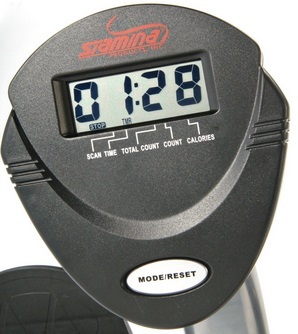 It will tell you how far you've rowed in each session, how long it took and estimates how many calories you've burned. It doesn't come with preset programs, or the option to store workout performance - but this is a budget model so you shouldn't expect too much. It is small and not set in the best position, but to be honest, it's not going to display a huge amount of useful information to keep you interested during your workout. The Trac Glider 1050 is a budget machine so you wouldn't expect to see features you'd find on more expensive models. We give it 50% because it is under $150 and therefore an option for many who cannot afford other rowers, bikes or elliptical trainers. However, it is still your money you're spending and don't want a piece of equipment you're no longer using in a month's time. In our view, it's fine for light workouts a few times a week. But if you're serious about getting into shape, and will be using it on a regular basis this machine isn't for you - see our alternative recommendations below. 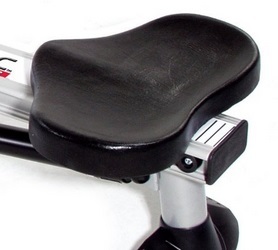 The seat isn't very comfortable for longer workouts. 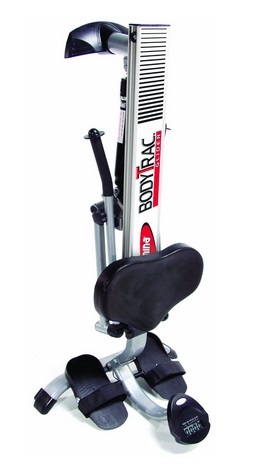 5' 10" x 3' 7"
For around $50 extra you'll get a better model with the Stamina Easy Glide. If you can spend more and prefer this type of rower, the Kettler Kadett is a better machine in our view. Or one of Stamina's other models would be better - see the Orbital - it's costs another $100 but is worth it.